When you have a jacket that keeps you as warm as the Rossignol Ski Insulated Ski Jacket, cold won't matter. Head for the slopes even when the temperature are into the negatives because this jacket has seriously heavy duty insulation - 120g on your core for max warmth, with 100g on your arms and sides. 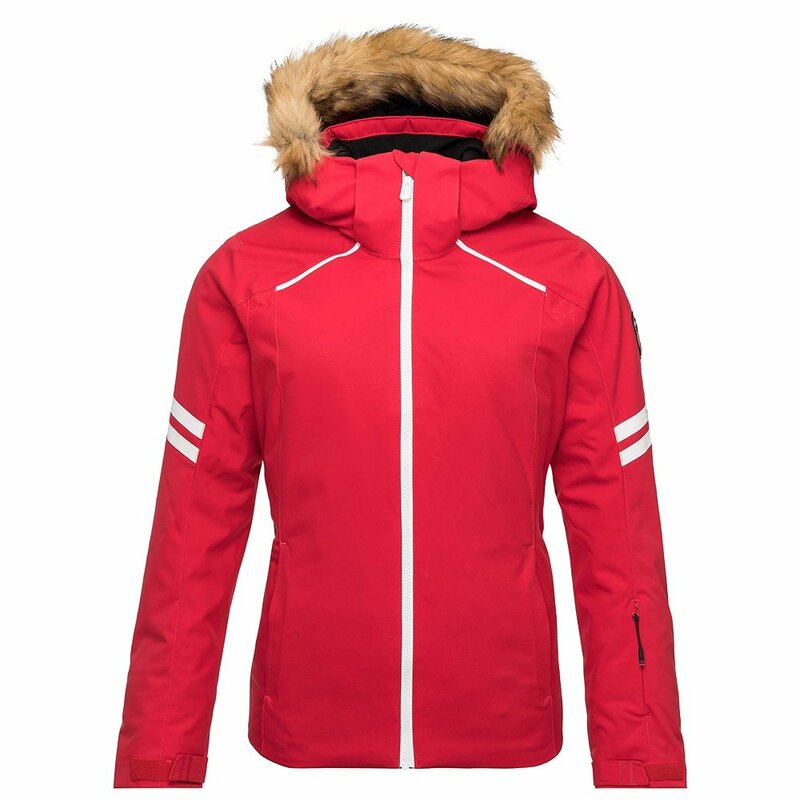 It has a 20K waterproofing rating plus an additional DWR waterproof finish for intense and extreme winter storms. Other storm-ready features of the Rossignol Ski Jacket included a quilted lining for extra warmth, an attached powder skirt, and adjustable cuffs with wrist gaiters and thumb holes. 120g of Thinsulate™ insulation traps body heat while still allowing moisture to escape. This jacket has 20K breathability and waterproofing ratings, ideal for temperature and moisture control in extreme, extended winter weather. The removable hood features removable faux-fur for different looks on and off the slopes.